Bhaiya Vs Bhabhi: Cute Shaadi Games To Welcome The Newlyweds! Everyone looks forward to the games that are played after the wedding. Wedding games are a tradition followed in almost all cultures and communities. Apart from adding to the celebration, they help the newlywed couple relax after the stressful wedding rituals. Once all the wedding formalities are taken care of, the game props are brought out and the entire family gathers for some whole-hearted fun accompanied by light-hearted leg pulling. 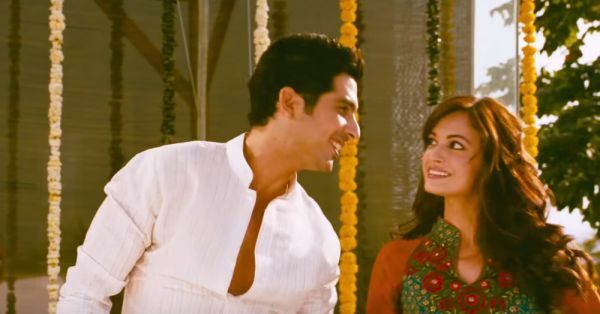 In addition to the ‘search for the ring’ game, here are some cute shaadi games you can play with your bhaiya and new bhabhi after the wedding. Multiple tight knots are made on a thin rope. The couple is then asked to untie the knots. Again, whoever does it quicker rules the roost, marriage-wise. Also, the sooner the couple can unravel the knots, the happier their marriage will be, supposedly. So get them to work those fingers! A tug-of-war between the two sides is a popular wedding game as well. The bride’s side and the groom’s side engage in some good old-fashioned show of strength. It is said that whoever wins will have the last say, family-wise. Obviously, family members from either side pitch in, in strength and in numbers, to make sure nobody gives way easily. Speaking of jugalbandi, how about some good old antakshari between the two newlyweds? Generations have bonded over antakshari and till date this remains one of our favourite-st wedding games. We’re totally #TeamBride! Remember Hum Aapke Hai Kaun where the ethereal Madhuri Dixit dances it out with a young, dreamy-eyed Salman Khan? A dance-off between the two sides is mandatory in an Indian wedding. Post-wedding, you can gather the two sides for some good old dance jugalbandi. This wedding game is quite popular in some parts of eastern India. Cowrie shells and rice are placed in a bowl, and the groom is asked to empty the bowl slowly, one fistful at a time, and place the contents on a metal plate. How quickly he can manage to do this will reflect his problem-solving skills and the noise he makes will reflect how smoothly he’ll manage it. If he makes a lot of noise dropping the rice and cowries on the plate, he’ll probably not be able to solve problems without conflict and be a little bit of a slob in the house. Uff, so much pressure! This is a common family picnic game that is often incorporated into weddings to include the younger cousins. The little ones from both sides are asked to race each other with a spoon held in their mouths. The additional challenge is that they also have to balance a lemon on it. It is great fun to watch the little soldiers put in their heart and soul for the cause of the bride’s victory. Or vice versa! 8. Do You Know Me? This is not a traditional wedding game, but fun nevertheless. It is more like a quiz. Questions are prepared based on personal trivia about the bride and groom. For example, questions regarding favourite things, first vacation etc are asked. The person who correctly answers most of these questions, wins. Sounds a lot of fun to watch (and tease over! ), right?